Quick Answer: To produce high-quality programming which could be broadcast nationally, Desilu Productions shot I Love Lucy on 35mm film instead of kinescope. Further, Lucille Ball and Desi Arnaz retained all rights to the program as part of their production deal. With a hard copy of the footage and the rights to its distribution, they were able to sell the series into syndication and play reruns during the series, changing the industry forever. Lucille Ball was known as the bumbling, buffoonish, brightly-colored redhead of I Love Lucy (1951-1957). In reality, she was anything but. Her famed series lives indefinitely in the most renowned chronicles of television history for advancements and ideas which proved so integral to the development of television as an artform and business, volumes could be published on the subject. One of the fruits of her and savvy husband/business associate Desi Arnaz’s real-world business genius is the episodic rerun, now a television staple and billion-dollar industry, and itself the product of other aspects of the duo’s industry foresight in the 1950s. Arnaz was a band member when he met Ball in 1940. They were introduced on the set of Too Many Girls (1940), an adaptation of a Richard Rogers Broadway musical comedy about a girl going off to college with a gang of football players as bodyguards. Ball was the star and Arnaz, in his film debut, was one of her ensemble. Not long thereafter, the two were married. That year, Lucille was busy gaining popularity starring in a popular RKO radio show, “My Favorite Husband,” while Arnaz was busy touring with his band. Because of this frequent separation, and Arnaz’s famous drinking and philandering, the couple almost split by 1944. Instead, they powered through, eventually making their way to 1950 when CBS wanted to bring the still-popular “My Favorite Husband” to the odd, challenging new medium of television. These were the years where televisions were popping into households all over America and studios were still figuring out how to make it a success. Ball agreed to do her show -- so long as Arnaz was cast as her husband. It was an opportunity to bring them together, save their marriage, and work as a duo. And for a while, all three of those things found success. At least, that is, after the formation of Desilu Productions. CBS wasn’t sure the country was ready for an interracial television sitcom about a fiery American redhead and a Cuban fellow. 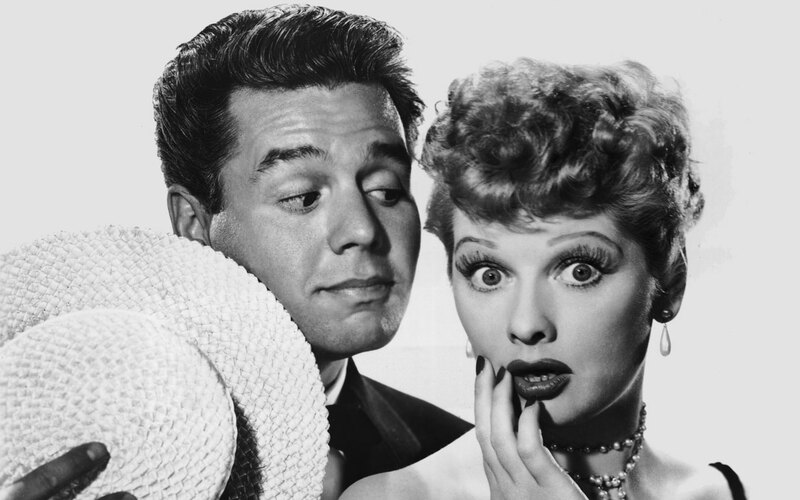 To quell the studio's concerns, Ball and Arnaz formed their own company and became their own bosses, producing the I Love Lucy show on their own and selling it to CBS. They also refused to leave Los Angeles and move to New York, where almost all television shows of the time were shot. 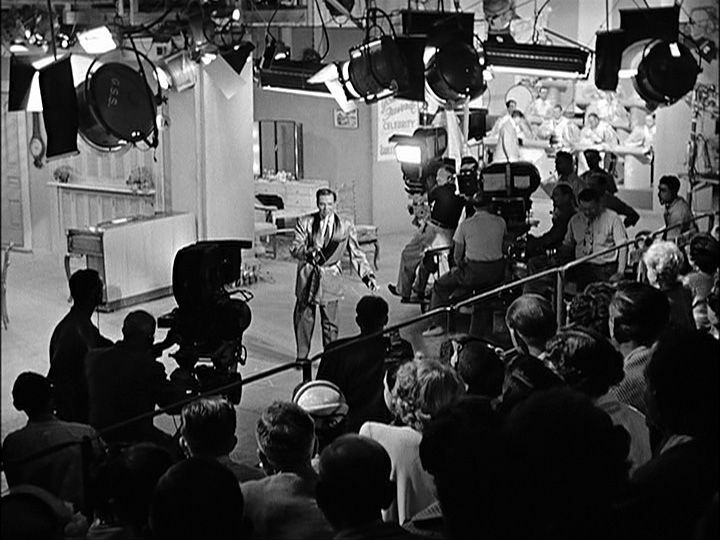 As it was, with New York in the Eastern time zone, shows were shot and broadcast live on the east coast (where there were more TV owners) and recorded on kinescopes for broadcast later in the west. Kinescopes were a terrible method of literally pointing a camera at a television as it played something, resulting in a shoddy, blurry picture. Ball and Arnaz didn’t want their show looking like that and expected the same quality picture be shown nationwide. The solution: shoot the series on 35mm film and play that film in all national networks, with the same quality. Not only did this decision up the ante for the production of television programming, but it meant all I Love Lucy episodes were recorded on a permanent, re-playable, high-quality medium. It made the rerun possible. These profits allowed Desilu to finance other remarkable series like The Untouchables (1959-1963), The Andy Griffith Show (1960-1968), and My Three Sons (1960-1965). After their relationship was demolished and Desi wanted out of the business, Lucy took over his shares and produced Star Trek (1966-1969) and Mission Impossible (1966-1973) to keep the house afloat, herself selling out of the company in 1967. The business of television production as we know it was developed by these two and their forward-thinking ideas of the industry. Their commitment to quality not only produced a show that looked great and played great in every part of the country, it resulted in a business where the artist could own their material and sell it as they saw fit.